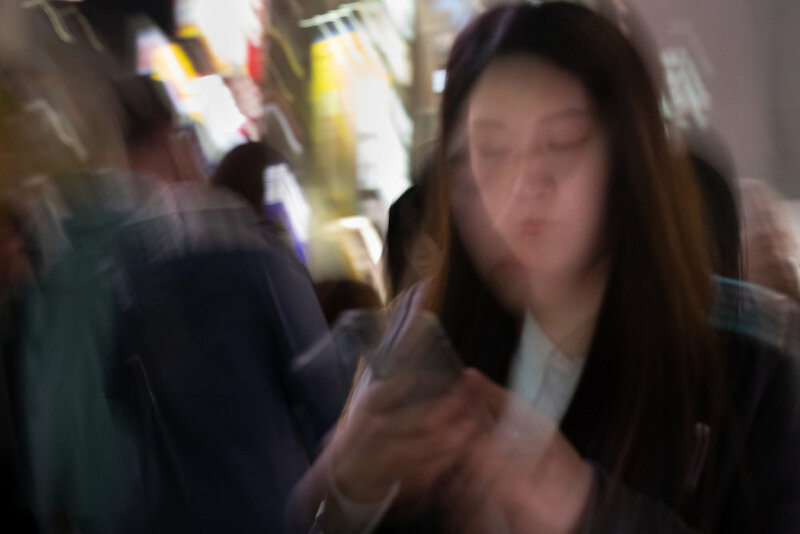 Looking at my photographic days in Tokyo I need to discuss the combination of the Nikon D850 camera with the Sigma Art 50mm f/1.4 lens, particularly for motion blur photography. I have to admit that I had a difficult and problematic relationship with this 50mm lens. 50mm is not my favourite focal length. For street photography it appears to narrow for me, it does not cover the scene sufficiently for my taste and thus deprives me of creating compositions that I like. For portrait the lens is too wide. I prefer staying a little further away from my model which I find less intimidating for the person at the other end of the lens. Working with 85mm or the 70-200mm zoom also gives a nicer background bokeh. 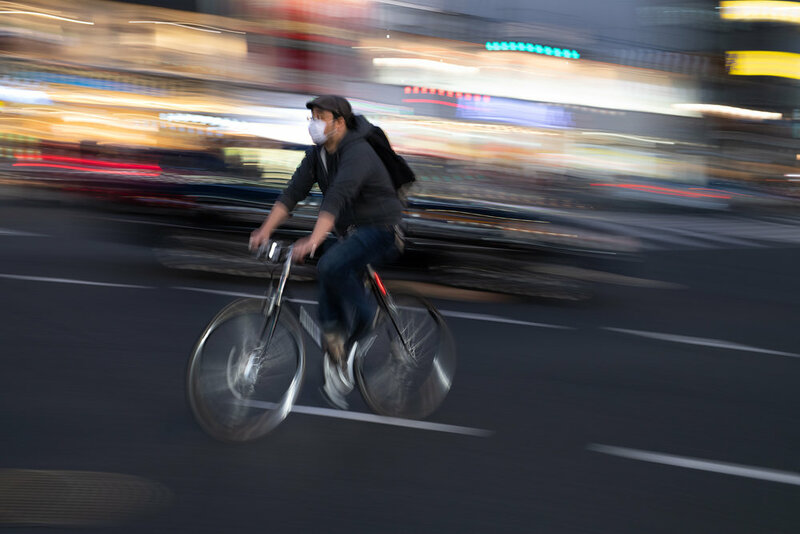 In Tokyo I used initially the 70-200mm lens for motion blur street portraits. But I realised that due to the narrow focal length I missed quite a few shots and depended a lot on luck and serendipity. And later when watching the pictures on my computer I realised that the shots with this lens looked a little smeary to a degree that I disliked the results. For the second part of my stay I changed the lens and used the Sigma 50mm instead. And man, this was a revelation. The rendering of this lens is crisp, motion blur causes beautiful lines, the colours are also beautiful and easy to work with. And doing the blur stuff was of course much easier with this wider lens than with the 70-200mm zoom. So I am really smitten with the Sigma lens and it seems that our relationship has good chances to recover. A word to the D850. I have praised it already just a few days after buying it. This camera is incredibly versatile. You can try anything with it and the results seem to be very convincing. I love shooting portraits with her, results are predictable and reliable. Same now with my motion blur attempts. The files are great, I can process them easily, they never fall apart, even if I try extraordinary things in pp. I can clearly confirm my first impression. This camera is amazing and in hindsight I bless my crooked old D800 for having given up its spirit. I will use bothD850 and Sigma Art 50mm in combination in the future and I am looking forward to the results.